As a start to September thunderstorm season over TN, moderate thunderstorms was seen yesterday over some parts of Dindukal, Karur, Madurai. From today rainfall is likely to see an increasing trend over north /central interior Tamil Nadu in evening/night as Line of Wind Discontinuity (LWD) creeps in. 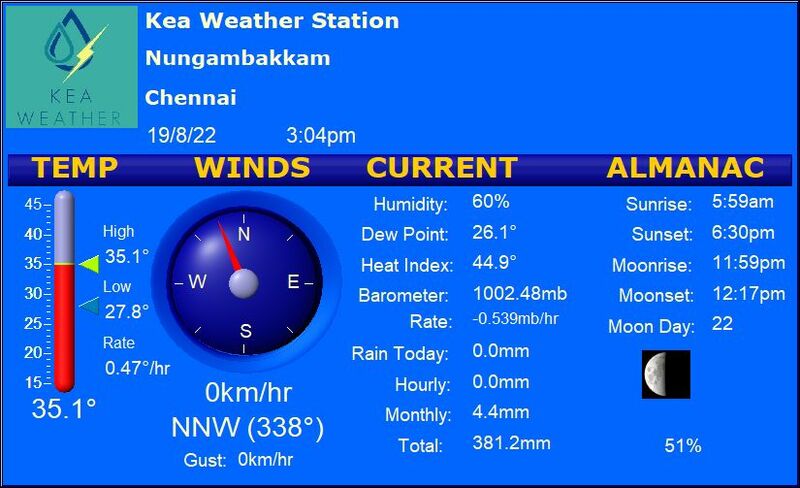 Day time will be super hot over entire Tamil Nadu with no wind support making the day very uncomfortable. If winds turns supportive Chennai cab also can see moderate rains in evening/night. West interior districts including Coimbatore has less chance from thunderstorms due to unfavourable wind pattern. South Tamil Nadu to remain mostly dry with chance of one or two spotty showers over south interiors.